The [give_totals] shortcode allows you to display the earnings from multiple forms on your site. Multiple goals can be rolled into one and displayed with or without a progress bar. This documentation walks you through the various options and attributes that can be included there. NOTE: This shortcode was introduced in version 2.1 of Give. 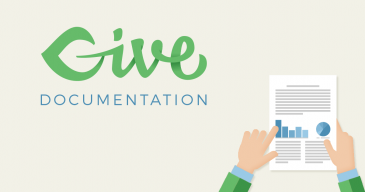 Often multiple forms have a similar goal, or you want to display overall giving on your site in one spot. You can use the [give_totals] shortcode to display the earnings from multiple forms in one place. You have the option to show just the progress bar, or just the goal text, or both. “ids” = Enter the IDs of all the forms you want included in the goal, separated by commas. “cats” = The category ID or array of category IDs to include in the total calculation. Defaults to all categories. “tags” = The tag ID or array of tag IDs to include in the total calculation. Defaults to all tags. “total_goal” = The total amount that you want to bring in for all listed forms. “progress_bar” = true/false. Shows the progress bar. Screenshot of Give Totals in shortcode generator in admin.